This season Romona Keveža Collection has maintained its traditional aesthetic, producing a selection of white gowns fit with clean lines, opulent fabrics, and refined silhouettes. But while these dresses lean towards classic, they still emphasize on femininity with playful tulle detailing, floral lace appliques, and a number of statement necklines. Each dress in the Spring 2020 collection is utterly unique; where one features all-over beaded embellishments, the next is entirely unadorned. 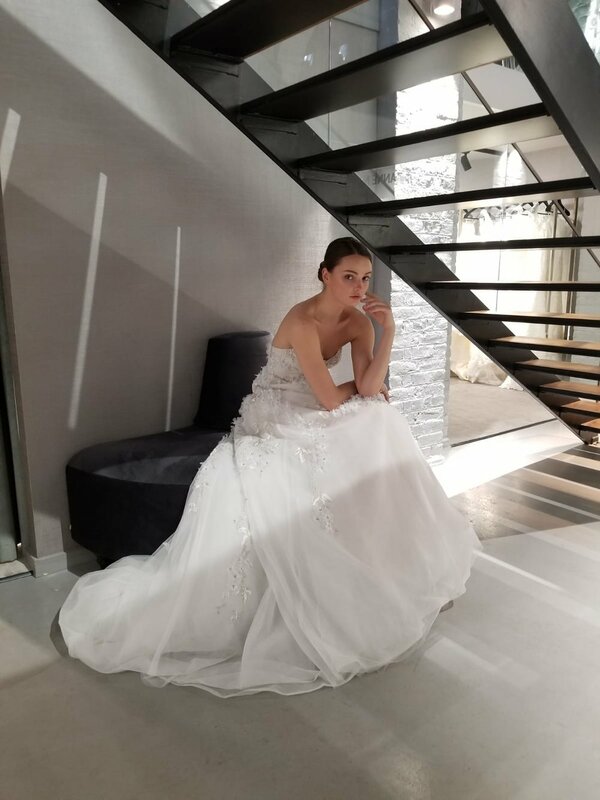 With that said, there is a Romona Keveža Collection wedding for every modern bride who's looking to wear something elevated and sophisticated on the big day. What makes Romona Keveža Collection's spring line most inviting are her creation's long-lasting appeal. Although the designer included a few trend-forward options—like capes, dramatic sleeves, and high necklines—she largely created wedding dresses that will endure the test of time. 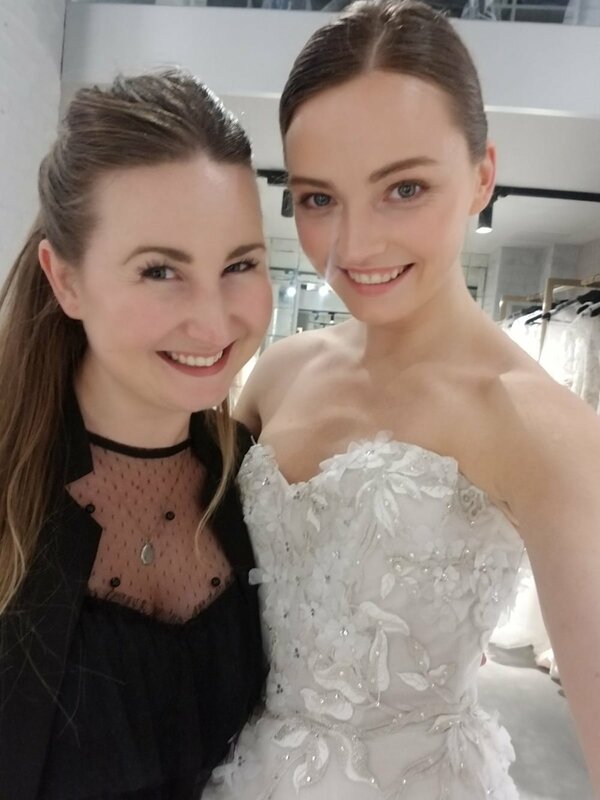 If any of these brand-new looks catch your eye, you'll feel confident knowing that your wedding dress is one you'll love on the big day and for years to come. Romona Keveža’s Spring 2020 Collection continues the archetypes the luxury brand is recognized for: The Minimalist, The Fashionista, The Aristocrat and The Principessa. The collection opens with silk crepe gowns showcasing Keveža’s signature minimalist aesthetic. The first is a halter gown paired with a dynamic floor-length cape, later revealing a criss-cross back. The second, an A-line gown with a scalloped sweetheart neckline and off-the-shoulder detail. We are then introduced to the Fashionista which highlights dramatic silhouettes featuring detachable floor-length sleeves. A delicately beaded Chantilly lace gown with a long sleeve overblouse perfectly epitomizes the Aristocrat. The collection culminates with the Principessa, beautifully captured with three awe-inspiring finale gowns; each one unique, yet equally breathtaking. The first of the three is a lace gown with an off-the-shoulder bodice and dramatic detachable train. The second Principessa look is a regal Blush ball gown made of Cherry Blossom embroidered organza. The grand finale is a majestic ball gown shimmering with stardust crystals and delicate pearls. Keveža’s Spring 2020 collection evokes elegance and sophistication, with exquisite fabrics and an unparalleled fit, creating an undeniable sense of luxury synonymous with the Romona Keveža brand. 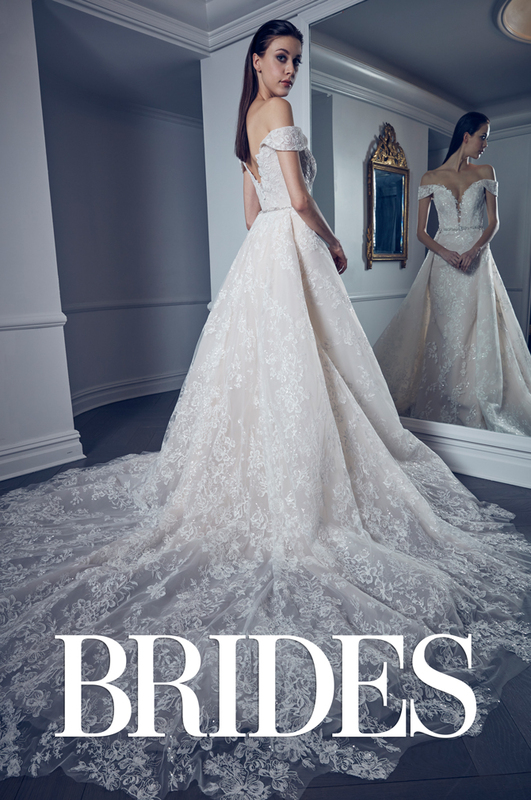 Romona Keveza Collection Bridal featured in the BRIDES UK editorial: "Pretty in Petals"
Romona Keveza Collection Bridal Style RK9509 opens the editorial “Pretty in Petals” in the May/June 2019 Issue of BRIDES UK. Dancer, model and TV host, Cheryl Burke from ABC’s Dancing with the Stars looked stunning at her bridal shower in a Romona Keveža Collection Pearl cocktail dress made of 5-ply silk crepe that features a sculpted neckline and an illusion overskirt. Romona Keveža’s Fall 2019 evening wear collection takes us back in time and chronicles the journey of a Baroness forced to flee her country with only her wardrobe and precious jewelry passed down from generations. Keveža captures the Old World glamour of a voyage on the iconic Orient Express with confident shapes, luxurious fabrics and exquisite detailing, evoking a sense of allure and mystery. Upon arrival in Paris, the collection softens with airy cocktail dresses and gowns made of French net with flowing skirts, long illusion sleeves, delicate petal accents and vintage beaded belts. The ethereal shapes are effortless and romantic. In London we are introduced to sophisticated silhouettes made of re-embroidered lace accented with illusion overblouses showcasing intricate patterns adding a sense of intrigue. The collection culminates with two exquisite gowns. 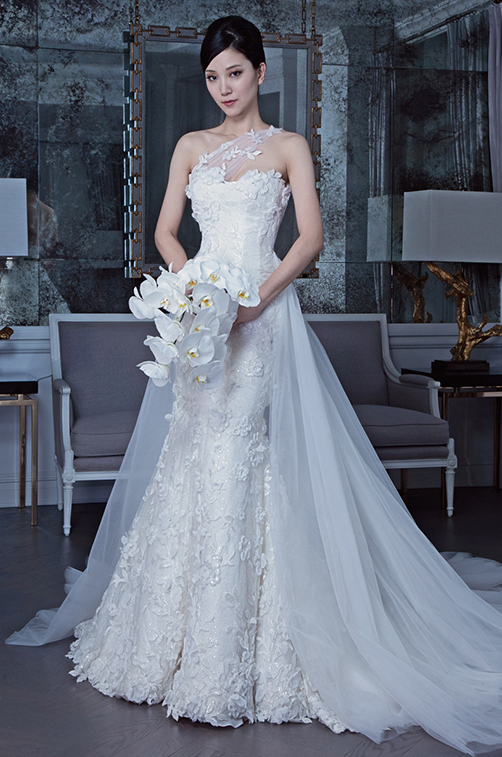 The first, a fluted gown featuring a daring illusion v-neckline and fluted skirt made of beaded Damask Lace. The second, a Romona Red ball gown made of Garden lace showcasing a corset bodice. The grand ball gown is removable, revealing a slim cocktail dress with a low illusion back. The Fall 2019 Romona Keveža Collection is one of worldly sophistication and is a true demonstration of refined elegance with exceptional fabrics, exquisite fit and master craftsmanship. Grammy Award Winner Ciara looked stunning alongside husband, quarterback for the Seattle Seahawks; Russell Wilson at this weekend’s event in Romona Keveža Collection. She wore a midnight black one-shoulder gown made of stretch crepe that features an asymmetrical bodice and high side slit from the Spring Summer 2018 Collection. Romona Keveza Collection Bridal Style RK9508 featured in The Knot Magazine’s Runway Report highlighting the trend: Asymmetrical Necklines. one-shoulder neckline and a cowl back, accented with a beaded brooch. In a true Cinderella moment, Justin Hartley showed us all that chivalry is indeed alive and well while he fluffed his wife’s Romona Keveza gown. The actress beamed all evening evoking true Hollywood glam. The gorgeous couple played it up for the E! News Glambot, Chrishell rocking her soft pink Romona Keveza train like nobody else! 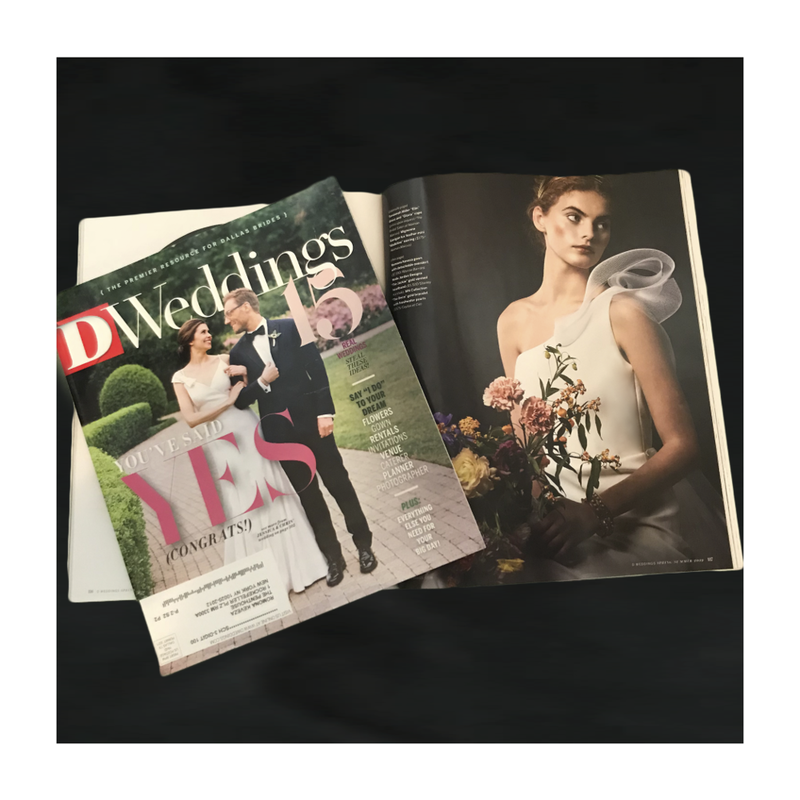 IN THE NEWS | @romonakeveza Collection Bridal Style RK9504 featured in @dweddings Magazine. 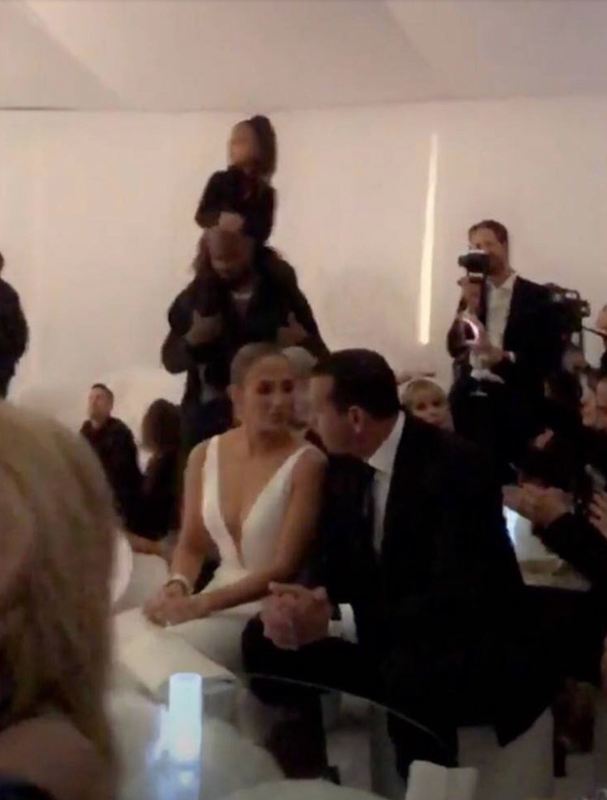 The Annual Kardashian Christmas Gala would not have been complete without an A-list performance, courtesy this year of John Legend. Jennifer Lopez takes another moment to pose for a selfie, with the Queen of Selfies herself: Mrs. Kim Kardashian-West. Lopez attended this year’s event with long time boyfriend and baseball legend Alex Rodriguez. The entire space was created by Hollywood event designer to the stars: Mindy Weiss and conceptualized by Kanye West. The theme: a Whoville Magical White Christmas. MEETINGS, FITTINGS Inevitably, I have at least one meeting related to my job, and it tends to be in the early afternoon. I’ll often have to meet a designer for a fitting. I perform in concerts and galas throughout the fall and spring where I’m not in costumes but in dresses. In November, I did a solo concert at Carnegie Hall where I needed to wear a few dresses.